8 pm Compline Service with reading of the Passion from St Mark’s Gospel. 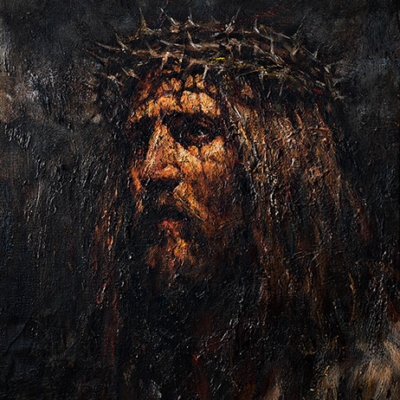 Nathan Bunt will give a meditation on the Passion. 8pm Compline Service with reading of the Passion from St Mark’s Gospel. Marieke Sybrandi will give a meditation on the Passion. 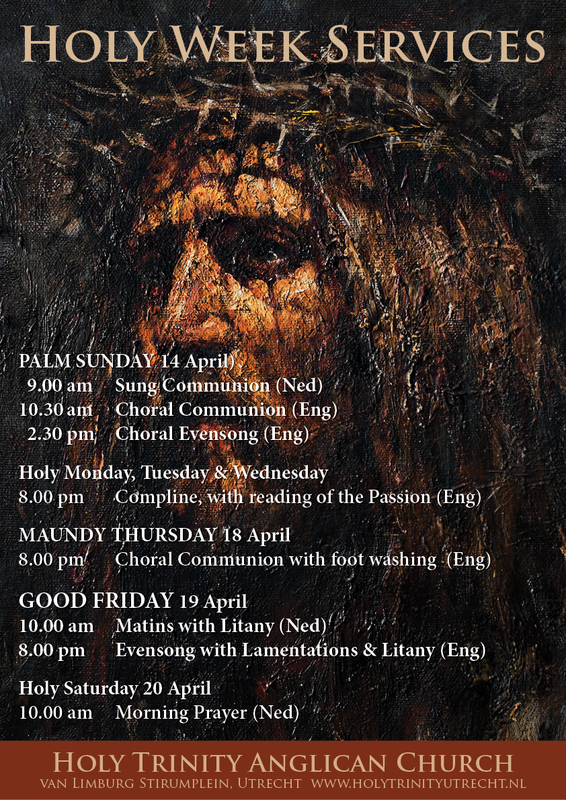 8pm Compline Service with the reading of the Passion from St Luke’s Gospel. 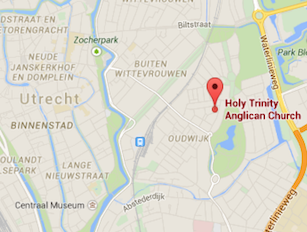 Marten van der Toren will give a meditation on the Passion. 8pm Choral Communion with foot washing. Preacher: Erik Heemskerk. This service begins with joy as we celebrate the institution of the Lord’s Supper and the washing of feet as our Lord did on the last night before his passion. It concludes with the stripping of the altar and we leave in silence recalling our Lord’s arrest and the scattering of the disciples. We remember the death of our Lord on the Cross on this solemn day of fasting. 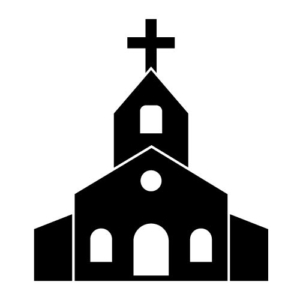 8pm Choral Evensong with Lamentations and Litany (English). went to the place of departed spirits and preached peace. 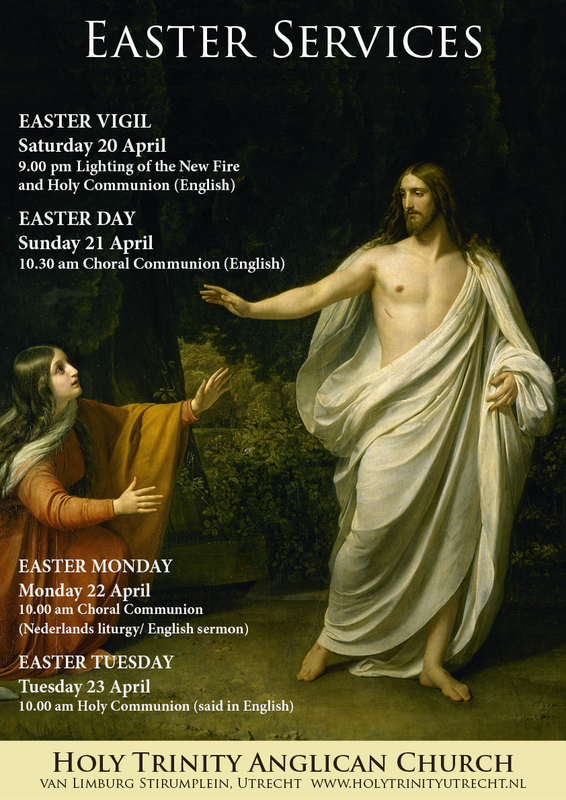 9pm EASTER VIGIL (20 April) (English). This is the first Easter service celebration. We begin after the sun sets, with the lighting of the new fire and in candlelight for the singing of the Exultat. The lights come on and we express our joy at the Resurrection of our Lord. On the following 3 days we continue to express our joy at the Resurrection of our Lord!